Custom wood molding is a great way to dress up any project in your shop or home improvement project. Making custom wood molding is one of those cool skills that can separate you from the pack, as it takes some engineering to do this with a typical set of shop tools. 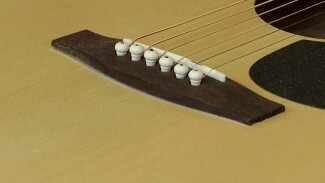 Custom wood molding can sometimes be made using some basic techniques on existing tools in your shop such as a table saw, router and planer. Sometimes the process of making custom wood molding can make it difficult to clean up the marks left behind by our cutting and shaping tools, however, so a solution is necessary to machine these surfaces in such a way that it doesn’t take you a lifetime. 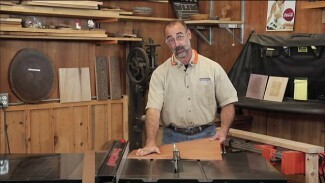 Use the same setup on your table saw. 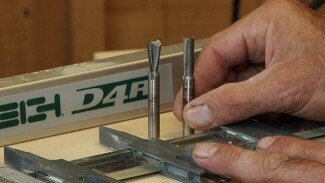 Start by leaving the saw blade set to the same cutting angle that was used to produce your custom wood molding. Then use a piece of scrap wood or construction lumber to cut a “carrier board” using the instruction that George provides in this video. Temporarily attach the molding. Tack the molding piece into position on your carrier board in such a way that it places the surface that you want to clean up at the top of the carrier board, parallel with the bottom of your carrier board. Run the carrier board through your planer. 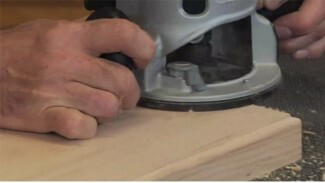 Use a light depth of cut to produce a nice clean surface on your custom wood molding. After you create your custom wood molding, I bet you’ll want some tips for installing crown molding as well as some more woodshop tips.